PBIS is an evidence-based, data-driven framework designed to improve the behavior of all students. PBIS Teams meet monthly at the school level to develop strategies for defining, teaching, and acknowledging appropriate behavior as well as strategies for correcting inappropriate behavior. 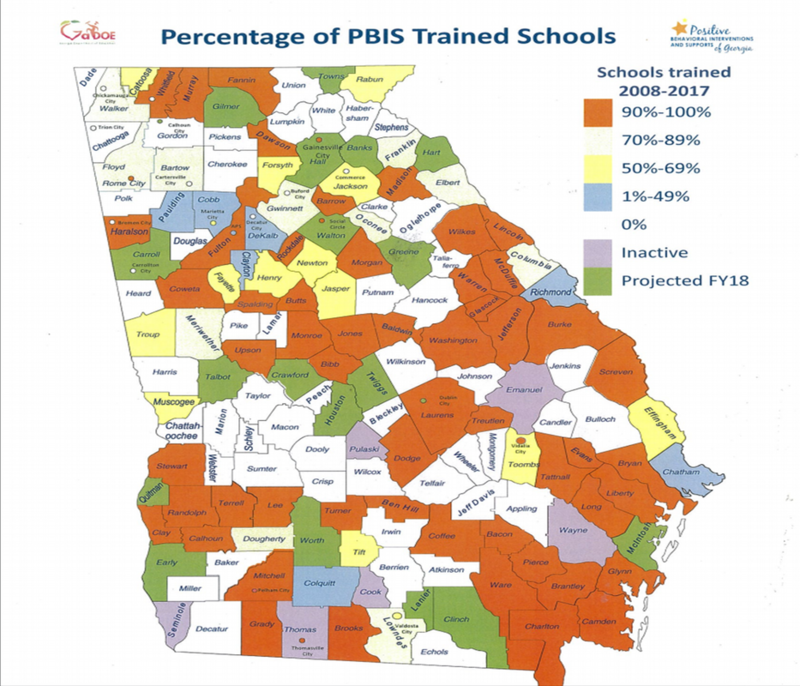 PBIS has been proven to enhance social and academic outcomes for all students and improve the overall school climate. Traditional discipline focuses on stopping the behavior through the use of punishment. The goal of PBIS is to stop the behavior by replacing it with a new behavior, altering the environment, teaching appropriate skills, and acknowledging appropriate behavior more frequently. Practices: Interventions & Strategies that are evidenced based- How will you reach your goal? Systems: Supports that are needed to enable to accurate and durable implementation of the practices of PBIS- What systems can be implemented that will be sustainable? 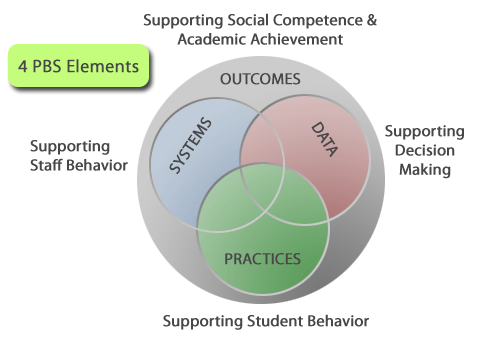 Data: Information that is used to identify status, need for change, and effects of interventions- What data will you use to support your success or barriers? Outcomes: Academic and behavior targets that are endorsed and emphasized by students, families, and educators- What is important to the learning community? The green part of the triangle represents Tier 1- a universal approach to teaching desired behaviors. Universal expectations and rules are developed for all settings and taught to all students and staff. Usually 80-90% of students respond to Tier 1 interventions. The yellow part of the triangle represents Tier 2- a more specialized form of teaching desired behaviors to a target group of students that are not responding to Tier 1 interventions. This tier usually includes 5-10% of students. 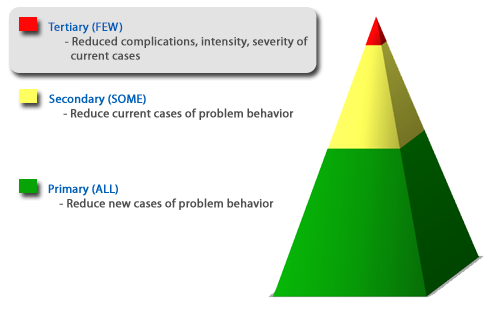 The red part of the triangle represents Tier 3- a specialized form of teaching desired behaviors to individual students with high risk behaviors. These students are not responding to Tier 1 or 2 interventions. Tier 3 usually involves 1-5% of students.